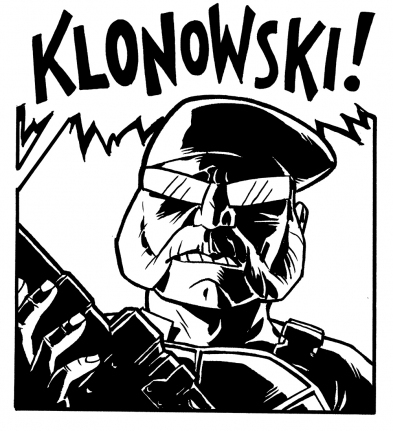 Danno Klonowski, local comics raconteur, has paid me a significant compliment. When told his name and his/his character's likeness would be used in a Transformers comic that I was scripting, he boldly declared that he would get a tattoo of the panel in which the character appeared. Well, I made darn sure that that character got a panel in which he was prominent, and brandished a large weapon. Yes, my storytelling choices are influenced by only the highest muses. I'm not even going to say "holy crap" anymore. 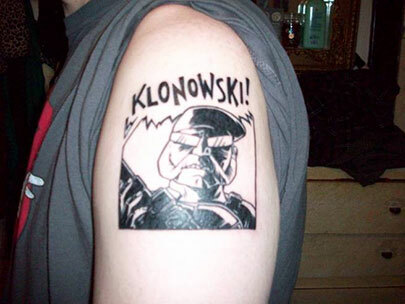 Instead I will say, "Klonowski!"